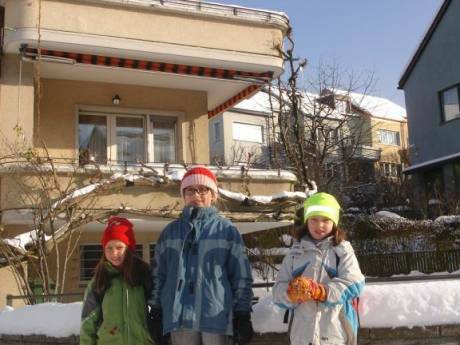 We offer a large and beautiful house in the center of Zurich. We have three bedrooms, one with one double bed, one with double bed sleeping sofa, and another with a baby bed. 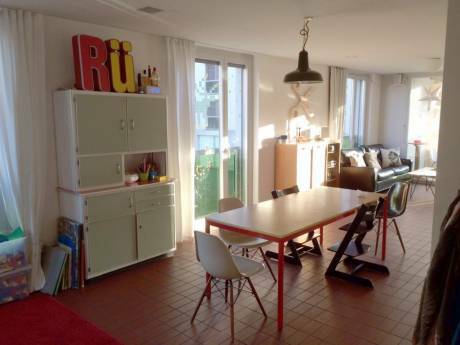 There is one big living room, and a large, open kitchen where all the family can eat. It's a very big house with wooden floors, fireplace in the living room, and decorations on the top floor. There is also a beautiful garden with lots of fruit trees such as cherry, plum, abricots, strawberries, raspberries, blackberries, etc. And a beautiful sitting area outside with a grill and a sandpit for children. We are Petra and Simon, a married couple with a three year old daughter. We are both professionals (graphic designer and Biotech-Engineer). We are planning to move to Paris for business from April to September 2011 and we're looking for a homechange for this period. 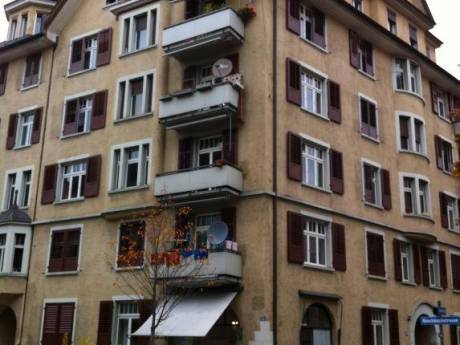 Located in the center of Zurich, but in a quite and green residental area, but still very close to the shops, restaurants and nightclubs (5 minutes by train to Zurich Mainstation).